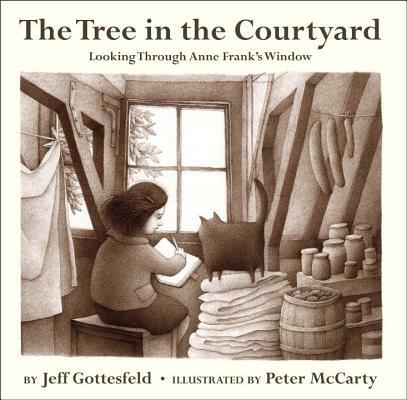 Told from the perspective of the tree outside Anne Frank's window -- and illustrated by a Caldecott Honor artist -- this book introduces her story in a gentle and incredibly powerful way to a young audience. "The tree in the courtyard was a horse chestnut. Her leaves were green stars; her flowers foaming cones of white and pink. Seagulls flocked to her shade. She spread roots and reached skyward in peace." The tree watched a little girl, who played and laughed and wrote in a diary. When strangers invaded the city and warplanes roared overhead, the tree watched the girl peek out of the curtained window of the annex. It watched as she and her family were taken away -- and when her father returned after the war, alone. The tree died the summer Anne Frank would have turned eighty-one, but its seeds and saplings have been planted around the world as a symbol of peace. Its story, and Anne's story, are beautifully told and illustrated in this powerful picture book.